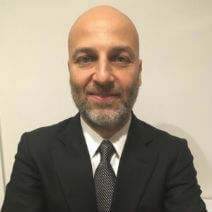 Albert Kant is a proven leader with a degree in Computer Engineering from the best engineering school in Turkey. He was an Associate Sales Director at an international company and has successfully taken the company’s relations with the international partners to a further extent. He completed his Executive MBA degree, and he is known for creating dynamic marketing strategies. He plays an extensive part in our company’s relations with Turkish clients and has broad knowledge specifically about immigration from Turkey. Albert speaks English and Turkish languages.